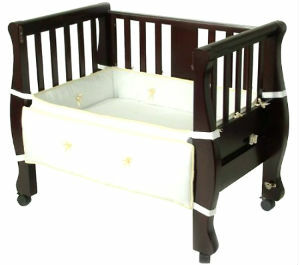 The Arm’s Reach Co-Sleeper Bassinet Sleigh Bed is a comfortable, adjustable bed designed for little children. The co-sleeper design gives extreme comfort to the baby as it is very sturdy the soft bed sheets give a cuddling effect to the babies. Babies are able to sleep peacefully as they feel quite warm inside and they sleep thinking they are in the sweet comfort of their mother’s arms. 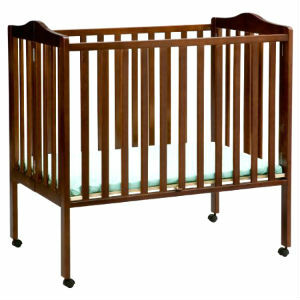 There are many different types of cribs in the market including stationary cribs, mini cribs, convertible cribs and non convertible cribs. Choosing the right crib for your baby can mean the difference between endless crying and a baby sleeping through the night. The Delta Children’s Products Portable Mini Crib is the ideal choice for parents looking for a stable, movable crib that fits into a compact space. 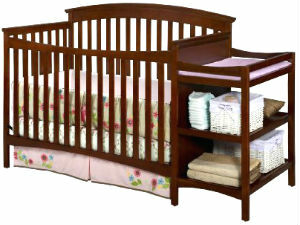 Parents who are looking for top-of-the-line nursery furniture with a compact size should look no further than the Delta Children’s Products Walden Crib and Changer. Combining multiple products into one, streamlined design, the Walden Crib and Changer is the perfect centerpiece for any baby’s room. For parents planning to spend a day outside of the house with their baby, having a safe place for a child to play and sleep is a constant concern. 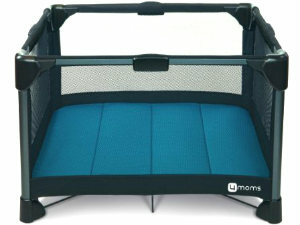 The 4moms Breeze Playard offers a high-end, portable solution to your fussy infant. By taking the portable playard with you whenever you are away from the baby nursery, you can ensure that even your youngest baby is kept safe and secure. My baby likes to eat her hand. She tries to stick her entire hand in her mouth and chomps down on her own hand with her gums. Thankfully she has no teeth yet, but it still looks like she is happily munching on her hand. Arya started eating her hand a few weeks ago, but in the past few days she has been eating her hand constantly. 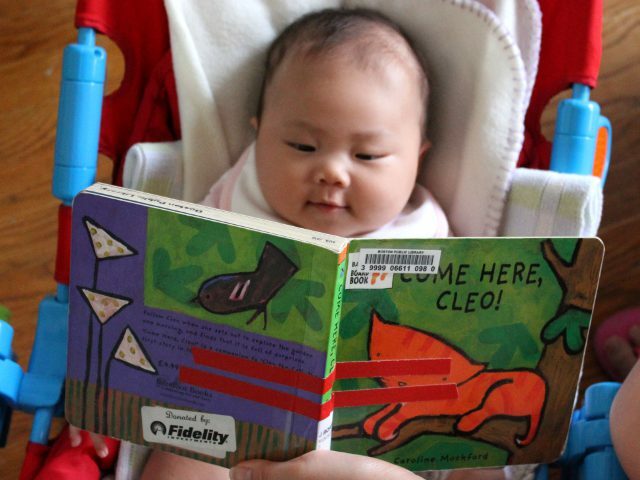 After Arya liked the last Cleo book we read to her I knew she would want to look through another baby book about the cute orange cat. The front cover of Come Here, Cleo! by Caroline Mockford has a large picture of Cleo sitting on a tree. Cleo’s orange stripes and orange body contrast with the brown tree and green background. Whenever my baby likes the front cover of a book she always likes the rest of the book as well. 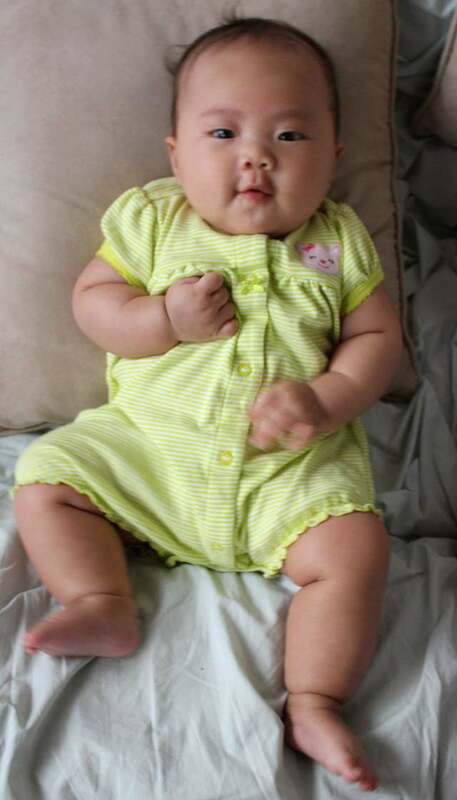 Now that Arya is getting bigger we’ve had to pack away her small newborn clothes and start using bigger size baby clothes. One of her new outfits is a cute one-piece that looks like a bag. I’ve learned that these baby bags have a better name; they are called baby gowns. While I hate the poorly designed baby gowns that make my daughter cry, I would highly recommend comfortable baby gowns to any parent. The trick is to find a baby gown with one of two features. The more common feature is for the gown to be loosely-fitted on the bottom with no heavy fabric to prevent the baby clothing from riding up and rubbing against baby’s sensitive tummy. The better feature is for the gown to have front buttons on the bottom to hold it securely in place on top of baby’s diaper. 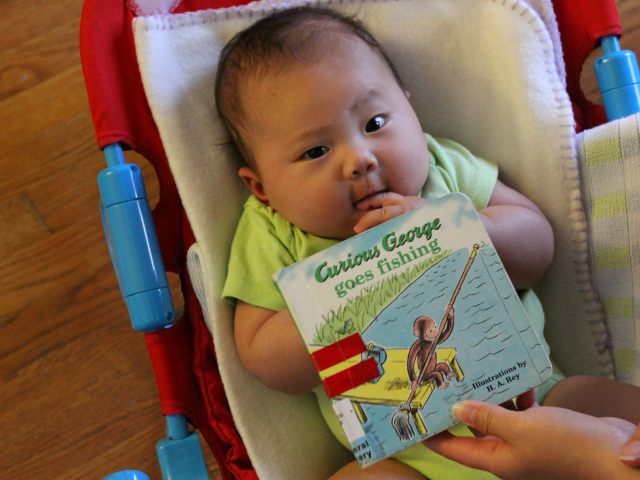 After a recent trip to the library we borrowed another Curious George book to read to Arya. Curious George Goes Fishing by H.A. Rey is another one of the large selection of books about the cute monkey held by the main branch of the Boston Public Library. Since the children’s reading room — the Margaret and H.A. Rey Children’s Room — is named after the couple who created the monkey, it makes sense that the library would keep a large selection of books about Curious George. Over the past week Arya reacted differently to strangers than to her parents. From the time she was born our daughter loved to be carried by everyone. She didn’t care who was carrying her as long as they were holding her securely. That changed last week. On two occasions during the week Arya became grumpy when another person carried her and only settled down after Mommy or Daddy took her back. That lead me to question: when do babies recognize their parents? 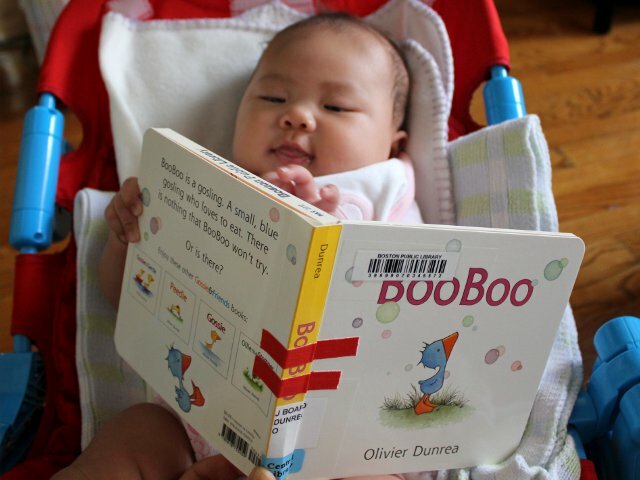 The front cover of BooBoo by Olivier Dunrea shows a little blue goose staring at colored bubbles against a white background. The gosling, whose name is BooBoo, is cute enough to attract the attention of young children. Arya tried to touch BooBoo when she first saw the book. Any time my baby tries to touch a book it’s a sure sign that she will be interested enough to pay attention throughout the story.